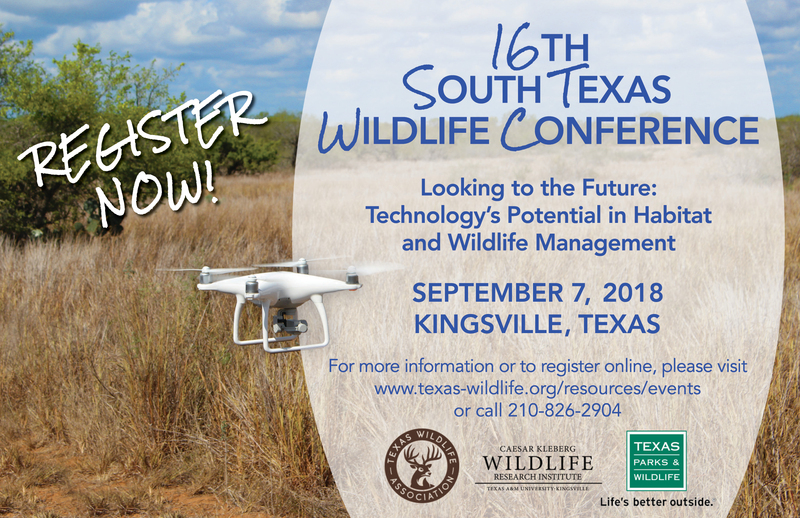 Please join us for the 16th South Texas Wildlife Conference hosted by Texas Wildlife Association, Caesar Kleberg Wildlife Research Institute and Texas Parks and Wildlife Department at the Caesar Kleberg Wildlife Center (located inside the Tio & Janell Kleberg Wildlife Research Park) in Kingsville, Texas (map). Lunch will be provided. 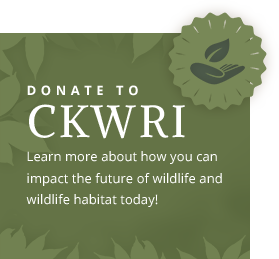 2:50 - 3:15 p.m. Landowner Perspective on Use of Technology, Aaron Foley, Research Scientist, CKWRI and representative from King Ranch Inc.
To download and mail in your registration form, click here.